For that year that my daughter (and, off and on, the rest of our family) has been following GAPS I’ve been learning to work with non-grain flours; almond and coconut. Coconut flour is my preferred flour to work with because a grain free diet should not be a diet primarily made of nuts, and it’s easy to eat too many when using nut flour in baking every day. Coconut flour is available through small retailers in the US here. Watch for ‘coconut flour blends’ made with grain flours, you just want 100% coconut. Coconut flour is very finely ground dried coconut, which is left over from extracting the coconut oil. Coconut flour is low-carbohydrate, high in fiber, and gluten free. It is a very dense flour, so in most recipes many eggs are used in proportion to the flour. The eggs allow the baked good to rise in the absence of a leavening agent (baking powder, soda, or yeast), bind the bread together in the absence of gluten. Gluten is the protein found in wheat that so many people are finding that they are sensitive to. Gluten is what makes wheat dough sticky, trapping the air bubbles from the yeast to make it rise. What do I need to account for when cooking with coconut flour? Cooking with coconut flour has both differences and similarities with other gluten free flours. Coconut flour is finely ground, it is very dense, and it can make baked goods a bit dry. Here are some tips for working with it. Coconut flour contains phytic acid. Like all nuts, seeds, and grains, coconut flour can benefit from being soaked in an acidic solution to neutralize the phytic acid. However, because very little coconut flour consumed in comparison with wheat flour, (in pancakes 1/4 cup coconut flour vs 4 cups of whole wheat flour) I generally do not do the soaking step. Coconut flour is dense. Recipes using coconut flour often have many eggs in them, which helps the baked good to rise. The eggs are also very nourishing! Eggs from healthy chickens are full of protein and healthy fats. For this reason, baked goods made with coconut flour will not cause the blood sugar spike like grain-based baked goods. Coconut flour can be dry. Nobody likes dry bread or muffins, but this can be remedied by adding pureed fruit or vegetables to the batter in place of some of the liquid called for, or even half of the fat. Adding applesauce to muffin recipes in place of butter is a well-known ‘low fat’ substitution. In this case we are not doing the substitution because we are concerned about fat, only because the pureed fruit or veggie makes a more moist treat. Coconut flour baked goods are dense and filling! Because of how filling coconut flour breads and muffins are, you can compensate by using mini muffin tins to make bite sized treats. Smaller sized loaf pans are helpful for bread making, and you will find mini sandwiches made out of this bread to be just as filling as the larger sized conventional counterparts. Silver dollar sized pancakes are recommended for breakfast as well. If using a regular sized loaf pan to make coconut flour bread, you may want to enjoy your sandwiches ‘open faced’, as shown. I wanted to share my coconut flour bread recipe using applesauce or pureed onion to lighten the bread. Grease 1 standard sized loaf pan or 2 mini loaf pans well with butter, ghee, or coconut oil. Mix all ingredients until there are no lumps. Pour the batter into bread pan, filling 3/4 full if dividing between multiple mini bread pans. Bake in preheated oven at 350 degrees for 40 minutes for a standard sized loaf, or 25 minutes for mini loaves. Cooking time may vary as loaf pans vary in size; bread is done when a knife inserted into the middle comes out clean. Allow to cool before trying to remove bread from pan. To remove, gently run a butter knife around the outside edges, between the bread and the pan. Flip the bread pan over a plate and (hopefully) it will come out all in one piece. Turn right side up, slice as desired, and store, covered, in the fridge. My Grain Free Banana Nut Muffins: Perfect alongside soup one night, then for breakfast the next day! My family has been reducing carbs and has cut out most products made from grain flours. From a taste perspective, do you think the coconut flour or the almond flour comes closest to wheat (I was thinking of making crackers)? My 20 yr old still reacts to almond flour. How do I soak it? Bobs red mills…plus he cannot eat eggs ..it has been 17 months on gaps intro…2 practioners dr perlmutyer..tests..etc. Still reacts and is so tired of graass fed syeip steak wild salmon n mahi shrimp duck and steamed veggoes. . When I try zucchini pamcakes the almond flour is issue..
Help I need more recipes w insyructions for eggfree baked goods. Nanana apple blueberry sml amts ok.
Just wondering if you know of an acceptable egg substitute to use with coconut flour. I’ve tried gelatin and some starches but they did not work well. Monica, I’m not sure, I don’t have much experience at all with egg free baking. Sorry I couldn’t be more help! Hopefully somebody else will know. Thank you Beth! That was really helpful! chia seed gel is a great substitute for eggs in baking. just google chia seed and you should get all the information you need. Try duck eggs. I am allergic to chicken eggs, but not duck eggs. i have lots of allergies , so it is great we discovered Duck eggs. Thanks for the tips. I fell into the trap of using too much almond flour, but ended up cutting back on baked goods in general. I do need to experiment more with the coconut flour. I’m going to try your bread recipe. What is the best way to store it? How long does it last in the fridge? Would it work to slice it and freeze it for everyday toast and sandwiches? Have you ever combined coconut and almond flour in baked goods? Lisa, I store it in a ziplock and slice as I use it. I keep mine in the fridge and haven’t had any problems. Thanks for this post! I am new to coconut flours, and I really would like to try out this bread recipe. I think I may be gluten sensitive, so switching to coconut flour might be a really good thing for me. Thanks so much for sharing this. I am learning so much about going grain free from you. We are definitely not there yet but I think learning to use the coconut and nut flours for baked goods will really help me move in the right direction. Angela, starting slow will keep you from burning out :) The bread recipe can be made into muffins too, the recipe fits 12 muffins exactly- great for lunches! For each portion of coconut flour used, add an equal amount of additional liquid in the form of water, coffee, milk, juice, dairy free milk, or coconut milk. I’ve had challenges using coconut flour with vegan baking. I will try adding the extra liquid. I use ground flax seed: 1 TBLS ground flax seed to 3 TBLS water, blend in food processor or blender until thick and creamy ~ from ‘The Joy of Vegan Baking’, for hearty baked goods. For finer baking I have used ‘Ener-G Egg Replacer with good results. Great info. Since coconut flour is new and not listed in the steps for soaking, could you tell me the steps or water to flour ratio in order to best help digestion? I’d just use the pureed fruit or other liquid (in my bread recipe that would be the applesauce or onion) + 1 tablespoon of homemade whey or fresh lemon juice, mix it all, and allow it to sit covered overnight. Kefir or yogurt could be used also. I was just wondering about this. I’m going to try my first soaking of coconut flour (I haven’t been doing it). We’ve been working on a GAPS based diet for over 2 years now- use coconut flour for all baked goods- we have tree nut and peanut allergies so can’t use nut flours yet. We made your butternut squash pizzas last night, kids took some for lunch today too. We really enjoyed them! Tropical Traditions website has some great coconut flours recipes- I look there if I can’t find something elsewhere. This looks good. Do you have nutritional stats? And how many servings does it make? Can the butter be replaced by coconut oil? Thanks for stopping by! No, I don’t have nutritional stats, though it is fairly low carb. I’d cut it into about 10 slices, 1 slice per serving. And yes, coconut oil could be replaced easily with butter. hope that helps! Did you beat your eggs/batter a good bit before pouring it into the loaf pan? My loaf was extremely squat compared to yours, and in other recipes I’ve followed with coconut flour the eggs have been beaten to give the bread height. I find that I have to beat it a bit to get the coconut flour mixed in well, yes. I would imagine it also depends on the size of the eggs- the difference between medium and large eggs could add up quite a bit when you account for how many there are. Hope that helps! I read The Paleo Solution in December and have since drastically changed my diet. I’ve been looking all over for coconut-based “bread” products. It’s been very difficult not eating cereal (I used to eat upwards of 5 large bowls a day), and having these gluten-free bread products have been a lifesaver. I feel so much better and have so much more energy now. I’ve definitely noticed that I don’t have to eat as much volume to fill up – this stuff is dense! I love using coconut flour in my gf baking too! thanks for the useful tips too! Many greetings from a gf foodie from Brussels, Belgium!!! Just tried making this coconut flour bread and it turned out REALLY dense, not sure if I did something wrong (didn’t beat the eggs enough, used a vegan butter sub that didn’t mix well, or ???) or if that is how it is supposed to turn out. Coconut flour bread is pretty dense, but I do kind of whip the eggs and coconut oil or butter with the food processor- I find it’s easiest to do the whole thing in a food processor or with the whip attachment of a mixer to whip it really well. Thanks! I think that would help a bit as mine didn’t rise or have much lift at all. But the taste was a HIT! For breakfast this morning, I buttered the slices toasted them in the skillet and served with a homemade mixed berry syrup on top – a grain free french toast breakfast! Perfect for my kids who were getting bored with the typical fried egg and bowl of fruit breakfast. Thanks for posting this recipe!! This may be a silly question, but when you mention using pureed onion for moisture in a savoury bread, would that be cooked or raw onion? What about roasted pureed butternut squash, could that be used? Is the honey needed? I am trying to stay away from all sugar except maybe Stevia. Does it need the honey or sweetener all really? Thanks! Sounds great! Can’t wait to try! I need help! We are following the GAPS and I am a subscriber to your monthly menus. My dd food allergy test came back reporting she is allergic to: Casein, Goat Milk,Rye, Spelt, Gliadin, Whey, Yogurt, Gluten, Corn, White Rice, Dairy, Eggs, Citrus, Beef, Lamb, Sugar Cane. What can I use for eggs in the amount that some recipes call for? How am I to get good bacteria in her diet when we can’t have dairy? Hi Tabitha, have you put her through the GAPS Intro diet? Dr. Natasha says in the GAPS book that a child/person with a leaky gut will essentially show that they are allergic to *everything* they eat because it’s all going through before it can be properly digested. The Intro diet does a great job at sealing up the gut lining, it made my milk, allergy go away in just a few weeks. For good bacteria, you can do the vegetable cultures without whey and that’s a great way to get healthy bacteria. Eggs- that’s tough! I don’t know that there are many or any baked goods recipes that don’t rely on eggs to hold them together, maybe just try sticking with other foods if you see a big sensitivity to it? I know my menu relies on eggs quite a bit, I’m sorry I can’t be more help! Hi Tabitha I know it’s been a little while since you wrote this post and I’m sure you’ve done some research of your own. I have successfully used flax and chia seads as an egg substitute in different recipes. How to replace eggs using flax seed meal? For each egg to be replaced, 1 teaspoon of flax meal and 1/4 cup of water for every egg to be replaced. You may need to play with this a little, a couple of times I went a little overboard with the flax (4 tsp) but still turned out okay. Chia seeds are great too. When mixed with water, chia seeds, high in soluble fiber, form a thick gel. Place 1 tablespoon of chia seeds in a cup and add 3 tablespoons of water. Allow the mixture to sit for about 15 minutes. 1/4 cup of hydrated chia seeds equals approximately 1 egg. Hi! When making substitutions what is the ratio… So, how much coconut flour in place of other flour? How many eggs per what measurement of coconut flour? 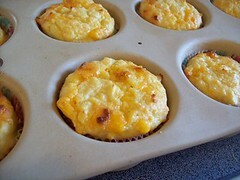 I found a site that does muffin Mondays and would love to try some of the recipes, but they all use wheat flour. We have just started grain free and my son is nut free!! Thanks!! Any information about how coconut flour rates against nut flours wiuth Candida? I find my cravings worse and symptoms exacerbated with nut flours – but not with the coconut. Anyone know why, or is it my own strange body?! Coconut oil kills candida so coconut flour is an excellent choice if you have candida problems. 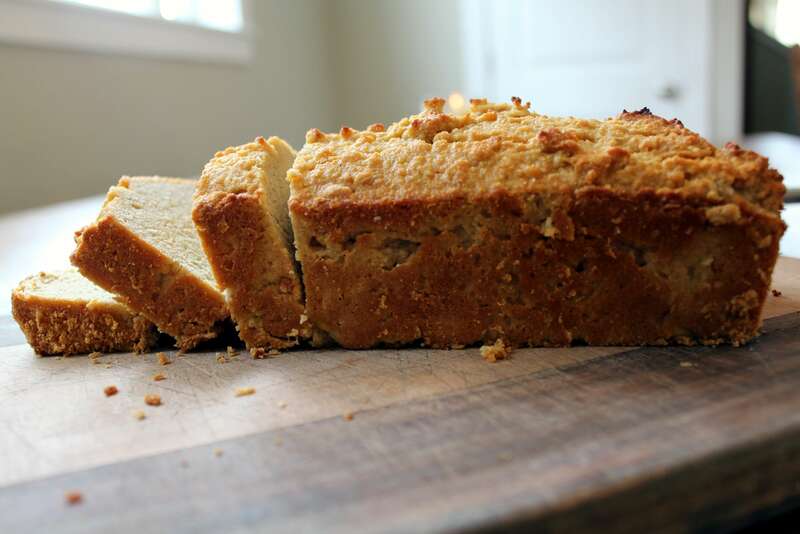 Cara: I made this coconut bread over the week-end and it not rise higher than an inch and a half. I noticed after making it that the recipe it did not call for baking powder. Was that an oversight? When I cut the bread for slices they were the size of a finger sandwich, enough to put some cheese on it, not to make a sandwich. Hey, so I just made this bread and after 40min it was golden brown on top but the bottom layer was completely eggy and separated from the top, bready layer. What did I do wrong? Perhaps I didn’t whisk the eggs long enough? I beat all the ingredients together in a food processor, so I thought that would have done the trick, but I guess not? This happened to me the last time I tried cooking paleo muffins that called for a lot of eggs as well. Almost like a quiche at the bottom and then bread on top. Makes me want to substitute something for the eggs! How did you get the bread to rise? Its delicious but looks really flat compared to yours and I followed the recipe exactly. How did you get the bread to rise so well? I followed the recipe exactly and mine looks flat. I used a food processor to mix mine and it turned out pretty well, size-wise. I made this with an onion (i used a red onion, which turned the bread a bit bluey-green in the middle. whoops) and it’s great, but really rich and a bit of an overkill with onion. is there another option for savoury? I thought I’d share: I used an onion (raw and red) which made the bread too strong. Next, I had half an avocado left and an apple I’d stewed. I used half the apple and the avocado and got a great, “blander” bread, perfect for spreads and toppings. Today, I just used an avocado and it’s turned out great. Just an option for those of us used to plainer bread. I never thought of using avocado! Thank you for the suggestion. My daughter is very allergic to apples and I am allergic to onions, so neither would be a great option for us. She likes avocados and I don’t mind them when they’re cooked and hidden in something. I was also thinking trying pureed pear and or winter squash. Keep upp the ggood work! You realize, a lot oof people are hunting around for this information, you could aid them greatly. to work on. You have done a wonderfull job! If I leave this mixture to soak before baking would that neutralize the phytic acid in the coconut flour? This has become my go to bed recipe! Thank you so much! I have made banana, carrot, cranberry walnut, and I intend to do onion and garlic soon. The weston A price foundation posted an article about Phytates in coconut flour being essentially non-existant…that it is as if coconut has not phytic acid at all and that it does not need to be soaked…Here is the link where I read this. The info on coconut is at the very bottom.. 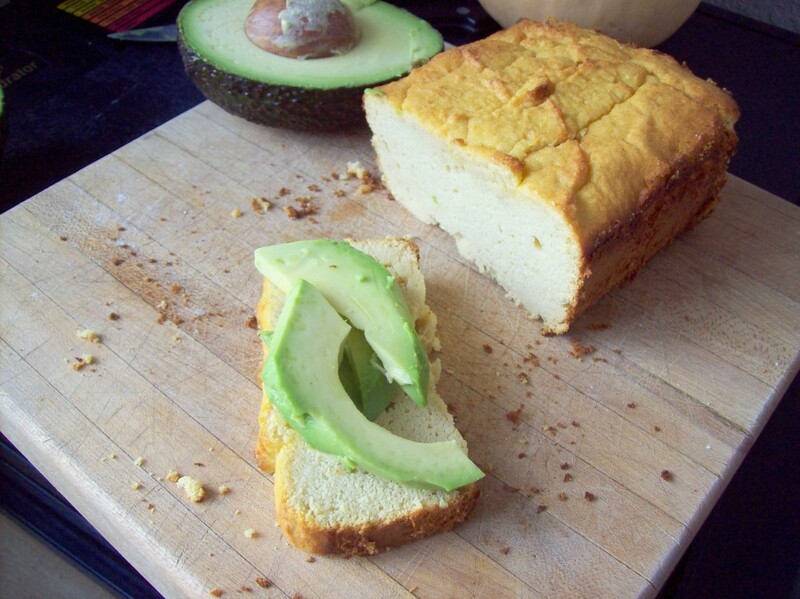 I halved the recipe and used avocado instead of applesauce/onion and added garlic powder and dried thyme instead of sugar….AMAZING!!! My hubby loved it! On Sundays at church we partake of the Sacrament which consists of a pinch of bread and a small cup of water. The bread type varies, but is usually white bread and the water tastes like it’s unfiltered from the tap. Would this be acceptable on the GAPS diet or should I make different bread (coconut or almond) to bring instead? I would make something different to bring. Even just one grain of rice can feed the bad guys we’re trying to starve out.